Der Artikel Claudia Gray: Star Wars: Lost Stars wurde in den Warenkorb gelegt. Ihr Warenkorb enthält nun 1 Artikel im Wert von EUR 9,47. This thrilling novel offers a macro view of some of the most important events in the Star Wars universe, from the rise of the Rebellion to the fall of the Empire. 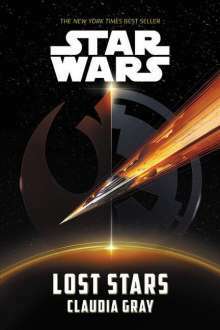 Readers will experience these major moments through the eyes of two childhood friends who have grown up to become an Imperial officer and a Rebel pilot.